The Whisky Boys highly recommend that all our readers visit this fabulous new website, and maybe it is just a coincidence but The Whisky Boys have allocated the month of October for Irish Whiskey tastings only. Irish Distillers Pernod Ricard has launched an informative new website to support its growing portfolio of single pot still Irish whiskeys. Offering insight into the rich history and heritage of the unique whiskey style, Single Pot Still features a series of insightful films created exclusively in conjunction with renowned Irish whiskey writer and historian, Peter Mulryan. Bringing to life the story of one of Mulryan’s greatest passions, the six films chronicle the intriguing history of Ireland’s whiskey tradition and feature some of the central figures in the history of single pot still whiskey, including John C Ryan, a seventh generation Distiller and the last member of the Powers family to work for Irish Distillers and Robert Mitchell, of Mitchell & Sons whiskey bonders, also representing the seventh generation of his family. The films explore each of the single pot still whiskey brands within Irish Distillers’ portfolio, including Redbreast, Green Spot, Powers and Midleton, shedding light on the origins and unique personality of each brand in a relaxed style that is guaranteed to appeal to both the whiskey enthusiast and the casual browser. 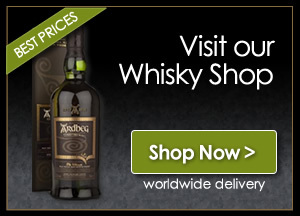 The website also features a history section that details the story of Irish whiskey through the years from 500 AD to today; information on Midleton Distillery, the home of Irish pot still whiskey; a section on each of the four brands which make up the ‘Single Pot Still Whiskeys of Midleton’ range; and an online shop, where visitors can purchase products. Fans of single pot still Irish whiskey can sign up to the website’s members section, entitled ‘The Stillhouse’ to receive news updates, exclusive content as well as a members’ welcome pack. Single Pot Still whiskey is unique to Ireland, and in particular Midleton, Co. Cork. Made from a mash of malted and unmalted barley that is then triple distilled in traditional copper pot stills, this style of whiskey is renowned for its full, complex flavours and smooth, creamy mouth feel. The launch of Single Pot Still will be followed by new websites for Redbreast, Green Spot, Powers and Midleton.